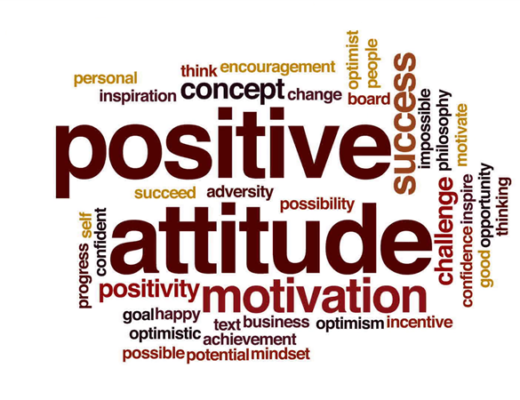 How your attitude determines your success? Positive attitude doesn’t mean that you ignore all the negative things but handling all the negative thought with positive way. Example, you feel down and stress when your boss reject your project that you planned it for week. Then you decide to play badminton with your friend and have a nice gathering with your friend. This is one of the positive action where you do not make yourself more stress and down by staying alone and choose to hang out with friend to let yourself forget about the negative thought and start again with your job. It does not feel good when someone feel unhappy, angry or lost about their job. However, can you imagine the feeling of happiness without suffering? You do not know about what is the true meaning of happiness if you does not suffer in your job. Many successful entrepreneurs had their bad time before they success which mean that suffer is one of the thing you need to face before your success. Nobody get their success in their first try so stay strong, pull yourself up and never give up easily. Remember that suffer mean experience and the more you suffer, the more experience you gained and closer to your success. This is often easier to said than done. Many people hard to have positive attitude when they faced some problem or difficulties because they lack of inner confidence. They does not believe in their abilities and afraid that they can’t continue if they fail again. However, confident does not come from talent on luck but they come from overcoming difficulties and facing fears head on. Confident is a result when you coming out from your comfort zone. It will help you to see your goal more clearly, find your strength and overcome your fear and difficulties.